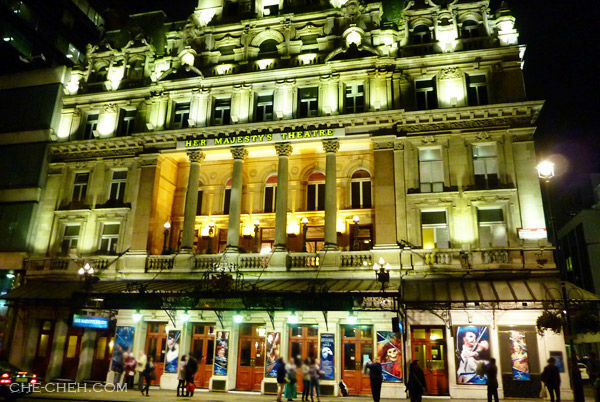 Our Phantom Of The Opera musical tickets for tonight @ £40.00 + £3.00 (service charge) per ticket for stall seating. The ticket is value at £65.00. Good saving eh? We should have done the same with my dream musical (to be revealed later on) but because it was so important and I don’t want to risk not being able to watch it, so I bought the musical ticket online when I was still in Malaysia. 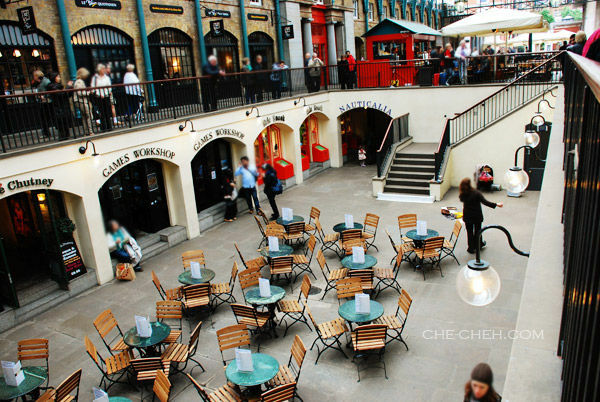 Then we walked to Covent Garden for the markets (shops+stalls selling merchandise) and the sun is shinning suddenly. The famous red telephone booth. 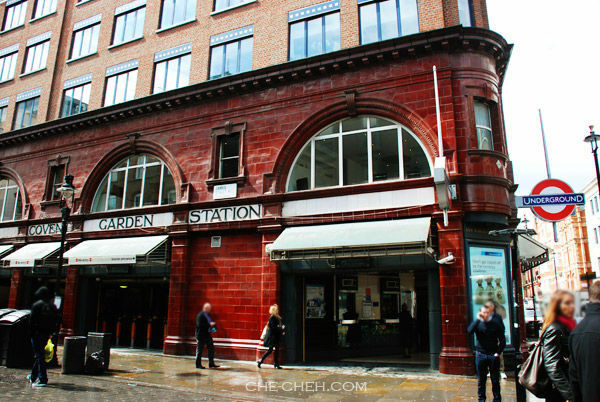 Passed by Covent Garden Station (Underground). 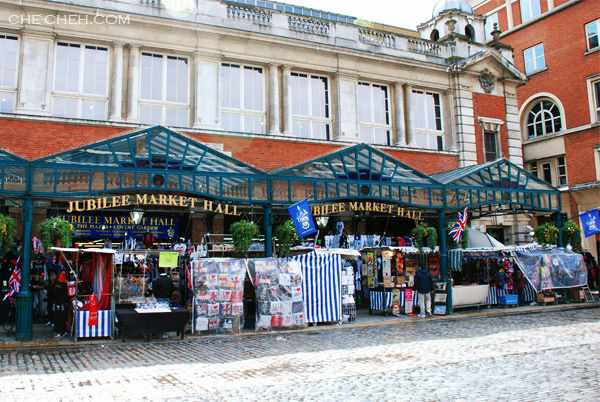 It drizzle a bit and was very cold and then all of a sudden the sun is shinning again when we reached Covent Garden Market. It was quite boring actually. I expected a larger crowd. On the right is a lady singing opera. Her voice was excellent! 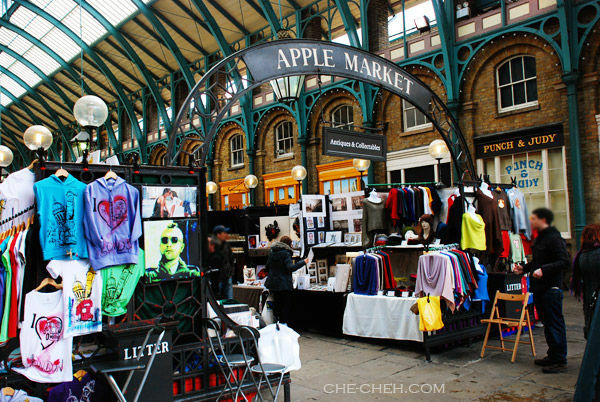 Didn’t go into Apple Market (located inside Covent Garden Market building). Just passed by as I see the things are not cheap. 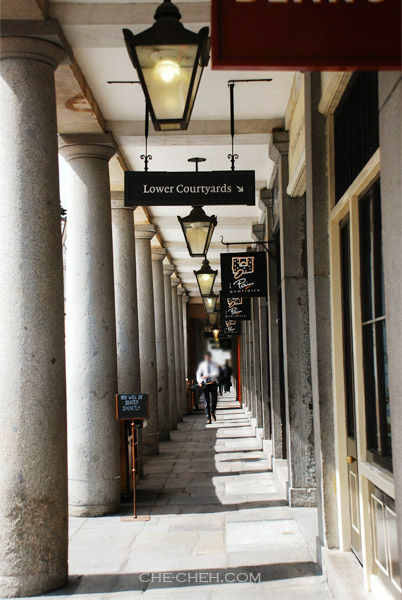 This must be East Colonnade Market (also located inside Covent Garden Market building). 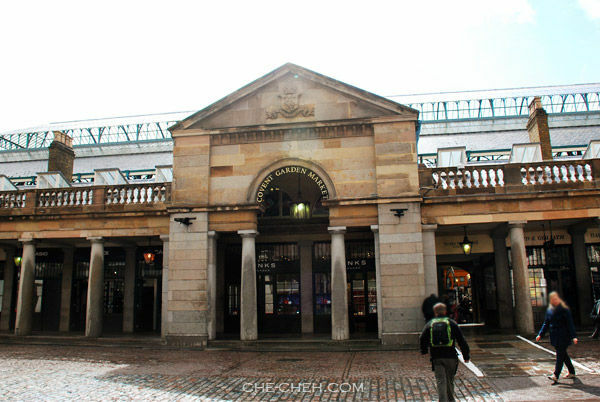 Jubilee Market Hall. Now this is my kind of market! 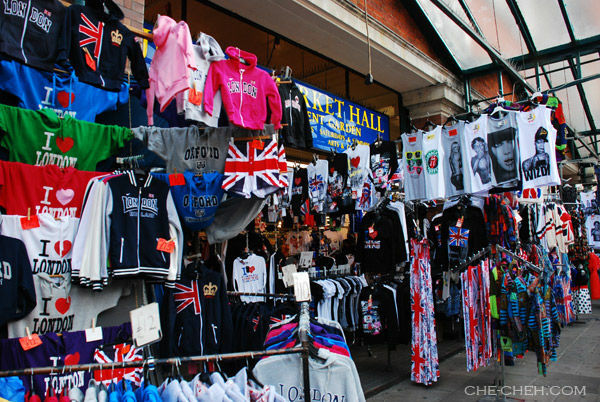 It reminds me a little bit of Queen Victoria Market (general merchandise area) in Melbourne. Bought a couple of postcards, tee and magnet. 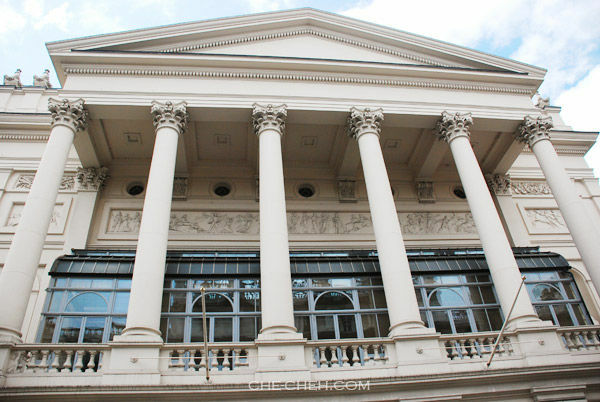 It’s a short walk then to Royal Opera House. A quick look see look see as my sis is a big fan of anything musical and opera. 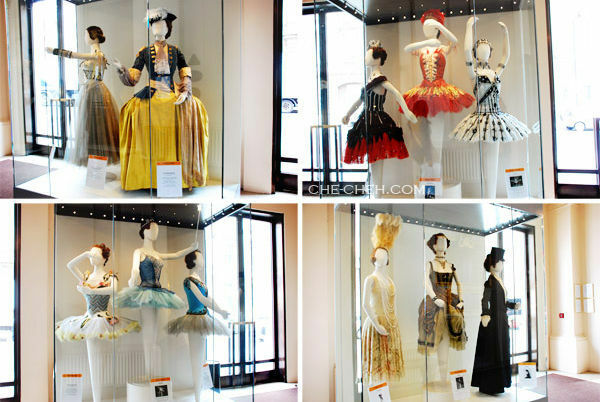 Some of the costumes on display at Royal Opera House for performances like Sleeping Beauty and Cinderella. Weather was great at this point. We’re walking to our lunch place at The Rock and Sole Plaice (read my review here). 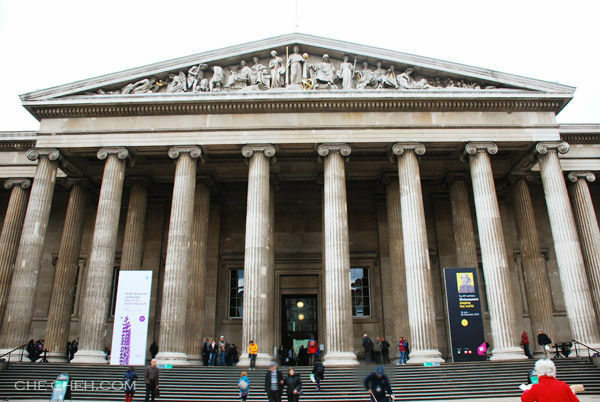 After lunch, we walk again… this time to The British Museum. Just as we reached The British Museum it started to get windy and a lil’ rain. 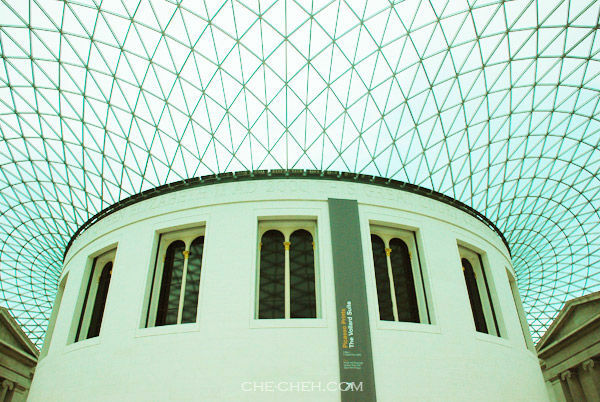 The British Museum = majestic. LOVE! Cute ice-cream and food van located at the side of The British Museum. 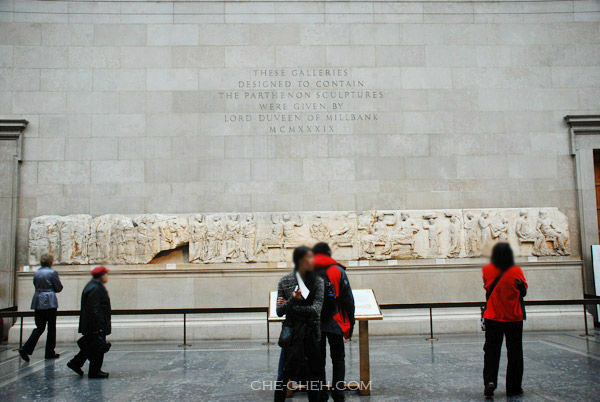 The famous Great Court (lobby) @ The British Museum. Entrance is free (yay!) and the museum is open daily from 10am-5.30pm except Friday until 8.30pm. However you need to donate £1 if you take a map there. Rosetta Stone @ the ancient Egypt room, The British Museum. 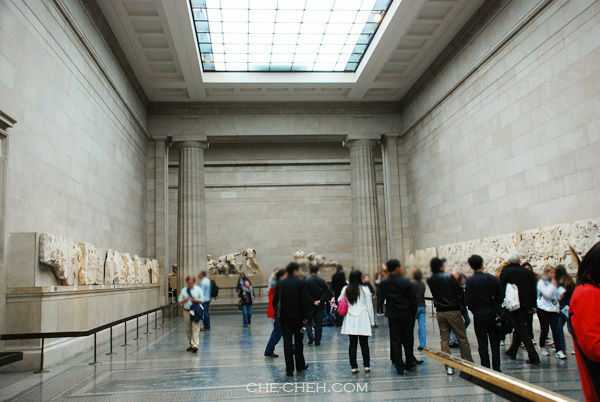 After Egypt, we visited the ancient Greece and Rome room. This is the Parthenon Sculptures from the famous temple on the Acropolis in Athens. 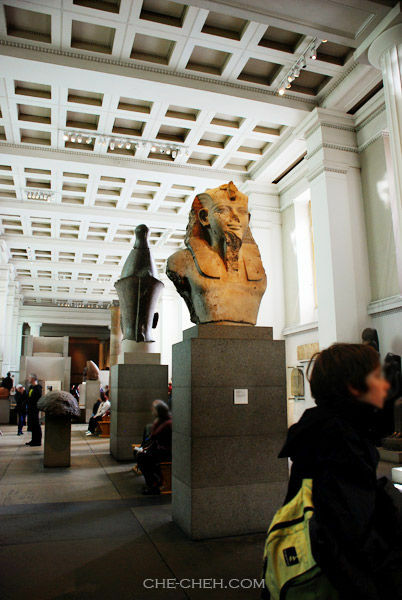 We only visited the ones that we wanted to see which are the ancient Egypt and ancient Greece and Rome room. I won’t say they are all interesting but I did thoroughly enjoyed myself there. It was a pleasant visit. Would love to go back for more! I bought a really nice keychain of the Rosetta Stone from the British Museum shop. While resting in the museum, I talked to some school kids there on assignment. Found out they came all the way from France! What an interesting way to learn history. 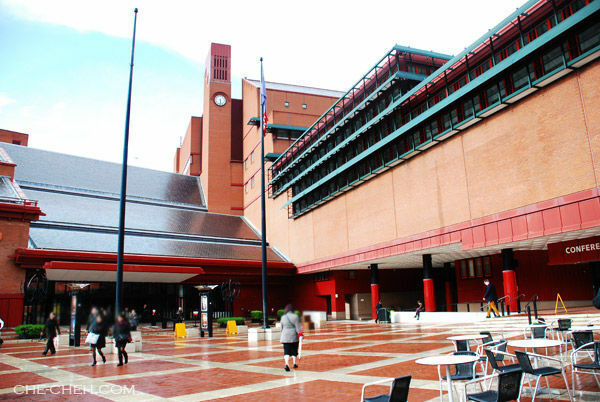 After the museum, our next stop is The British Library which took us about 30 minutes by walking. We passed by Charles Dickens home called Tavistock House. 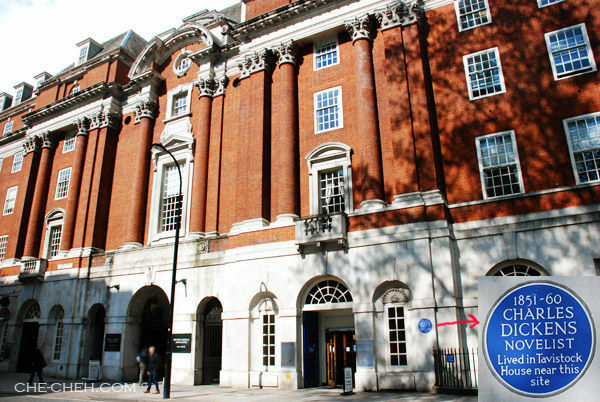 Read the blue plaque in the photo above. This isn’t the exact building as it has been demolished in 1901 but it’s the former location of his home. 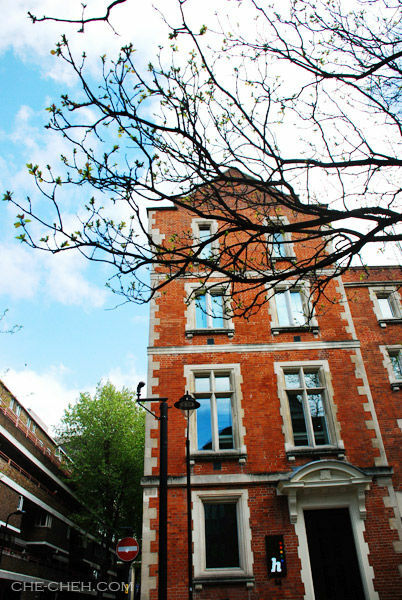 There’s another building we passed by at Covent Garden which was the private apartment of Charles Dickens. Looks like he had lived in several places. 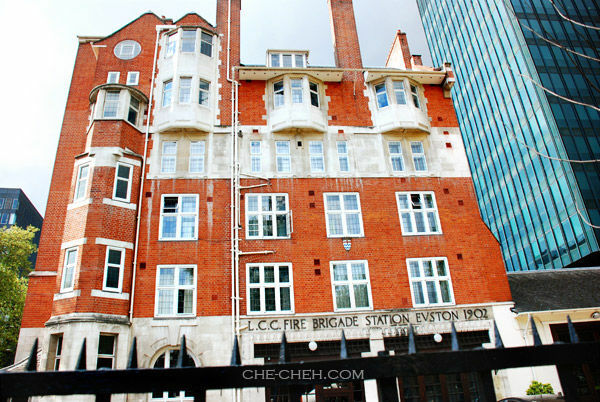 London County Council (LCC) Fire Brigade Station Euston 1902. Over 100 years old fire brigade… still looking good! 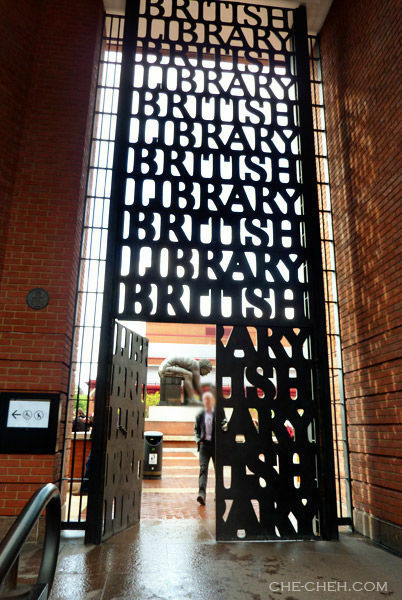 Main entrance to the British Library. Entrance is free (of course! but you must pay(donate) for the map £1) and it’s open daily. No photography inside though. The main reason we went to the British Library was for the permanent gallery called Sir John Ritblat Gallery: Treasures of the British Library. It houses lots of unique items like Jane Austen’s notebook, Lewis Carroll’s dairy, Beetles’ lyrics, classical music items that belongs to Mozart, Beethoven and Purcell to Leonardo Da Vinci’s studies on arithmetic, mechanics and architectures and many more. We exited the British Library at about 5.30pm and knew that we have 2 hours left before our musical starts. 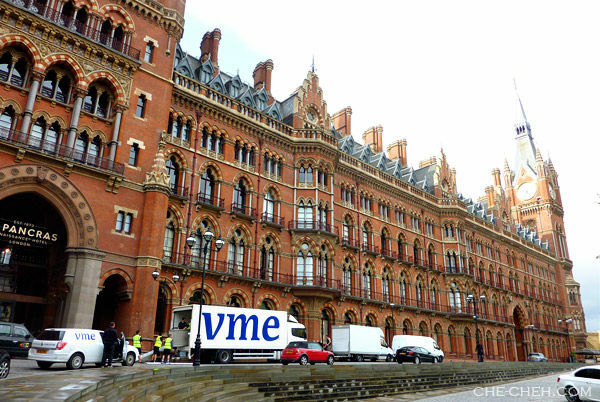 Hurriedly we walked to King’s Cross St Pancras Undeground. 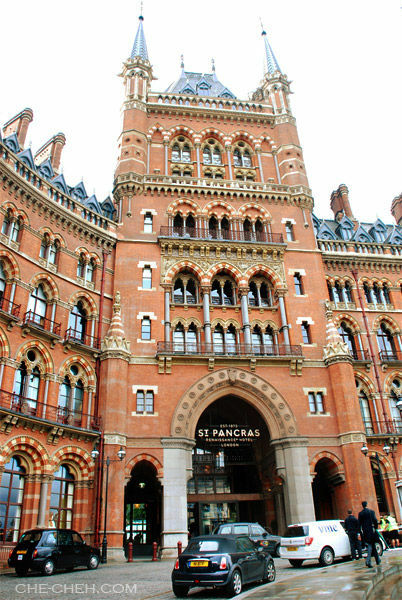 On the way we passed by this really beautiful hotel; St Pancras Renaissance Hotel, London. Once exited Oxford Station tube, we headed to M&S (Marks & Spencer) – which is on the way to YHA to get our dinner and next day brekkie. Oh yeah more sandwiches! Photos for the musical below were taken by TZ-7 (sis’ camera) as I did not bring my DSLR there. I think we left the YHA around 7.10pm, a little late coz we’re so tired and was busy eating dinner (sandwich!) in our room. We decided to take the tube to Piccadilly Circus. We thought Her Majesty’s Theatre will not be far away then but oh my oh my… it was really far actually (maybe about 3 blocks). We then walked to our destination hurriedly and particularly had to run in the last leg as we were so damn late! 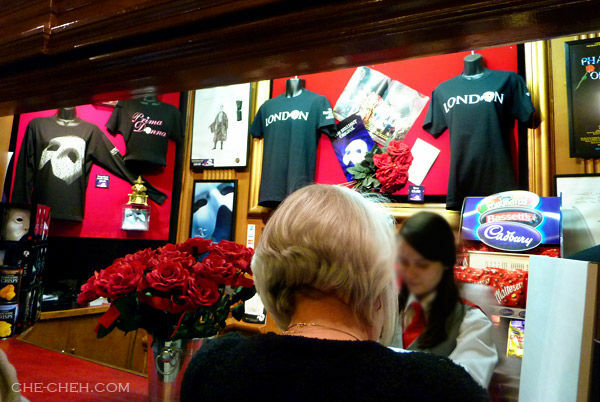 By the time we reached Her Majesty’s Theatre, the front door is closing and we quickly showed the officer our tickets. We were then led to a side door where the officer unlocked it and gave us the direction to our seats after going through a few sequence of doors. Just when we sat down the curtain rises. WHAT A CLOSE CALL!!! What a miracle. If we were a minute or 2 late, we would have to wait for the interval which is 1.5 hours later! 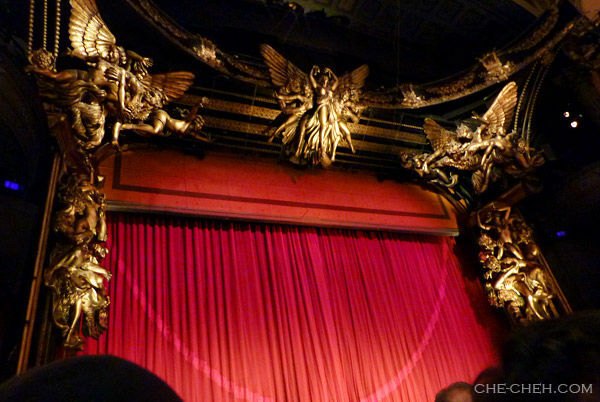 Phantom Of The Opera stage. Nice right? 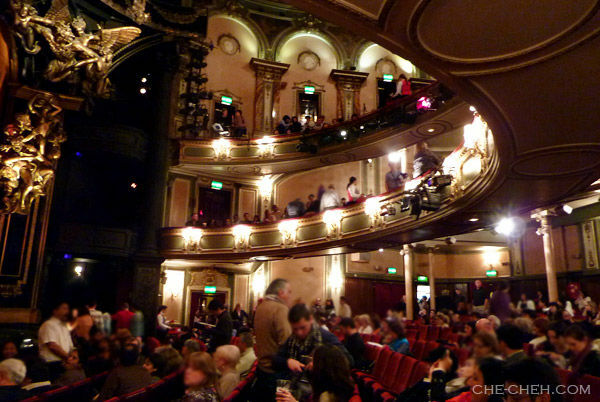 Inside Her Majesty’s Theatre for the Phantom Of The Opera musical. Wohooo! People-jam after the musical which ended at around 10pm. We bought a mug and pin here. 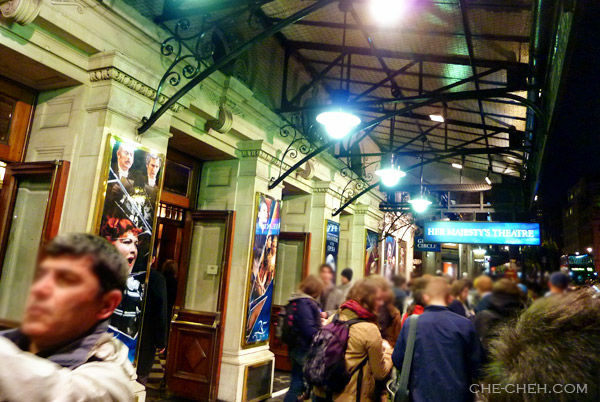 Her Majesty’s Theatre @ Haymarket, London. Took tube back to our lodging, had our little night snack (Primrose cupcake and leftover fish and chips) and call it a day. If day 2 was a really tiring day, day 3 is thrice that amount! Ouchhy… so stay tuned. LOL! So many ads inside the red telephone booth? 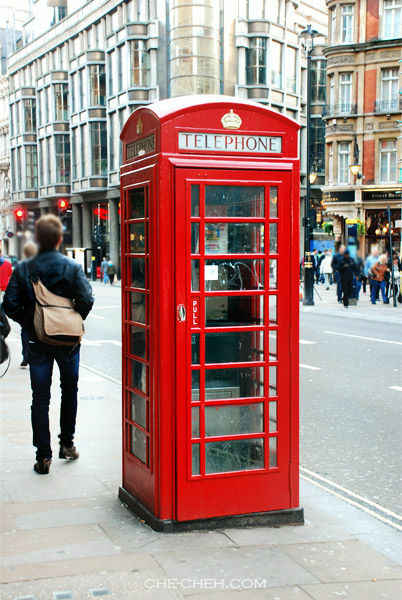 Saw lots of these red phone booths on the street but never once saw anyone uses it. 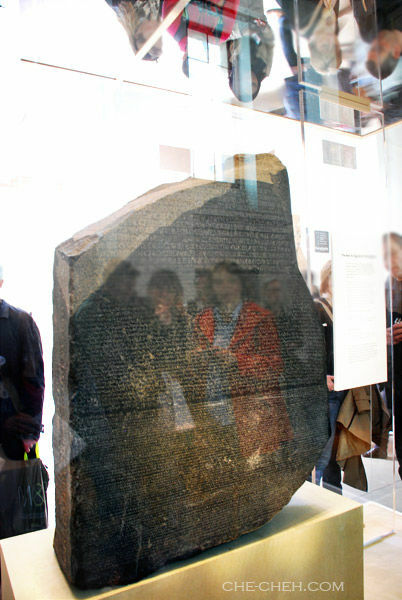 Funny, when I saw Rosetta Stone, my immediate thought was the language learning software! LOL I didn’t even know about this Eygptian stone! 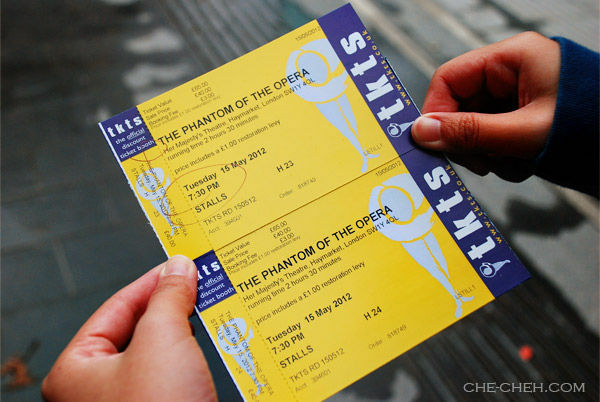 My mom and sis went for the Phantom of the Opera in Spore and loved every minute of it. I missed the one over here. I love love the old architechure of the buildings/castles in England. Cant wait for the next installament! Oh yeah my mom and sis went to the Singapore’s Phantom too. Sis said the Singapore one is better than London coz she sat really near. 1. LONDON is always rain heard from my friends over there. Lack of sunshine… haha..
2.I like those outdoor cafe. but seems not many people sitting there for coffee? Yeah that’s the kind of weather in London. 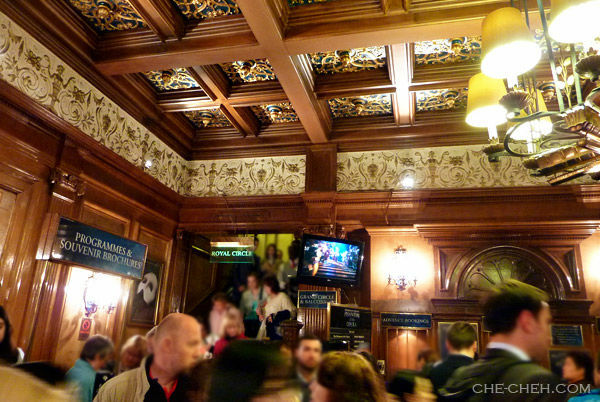 There are more pubs in London than cafes. Haha No matter alcohol lover or coffee lover, they will sit outdoor as well. I think the red telephone booth has become its own version of red light district, haha! 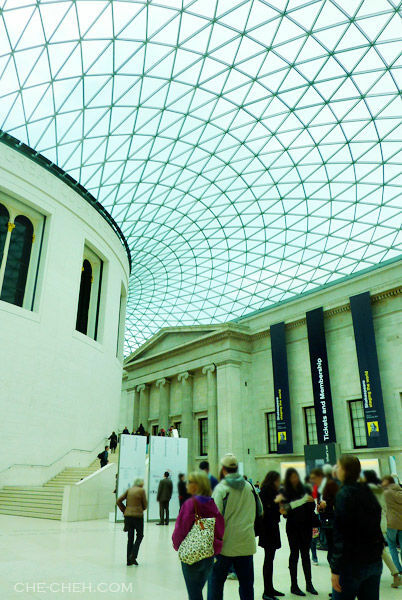 The British Museum looks awesome!